Many of us, myself included, buy our personal, home care, and cleaning products from the grocery store, so this is a very important Healthy Grocery Girl topic! I have to say when I first started taking better care of my health, my main focus was rooted in nutrition and exercise. As I’ve learned more about the truth of ingredients, and the holistic whole-body approach to health and healing, I could not help but think about the ingredients in my personal care, beauty and home cleaning products too! Did you know that what you put on your body is directly absorbed into your blood stream and therefore can positively or negatively affect your health similar to how the ingredients in our food can. Of course you won’t feel full and less hungry by spreading peanut butter on your arms. What I mean is ingredients and chemicals that enter your blood stream through your skin circulate throughout your body and can affect your cells and organs. There is SO much I want to share with you from my on-going research on personal home-care, beauty and body-care products. Please be patient will me as I do my due-diligence to research information so I can provide you with the best understanding and resources I can! 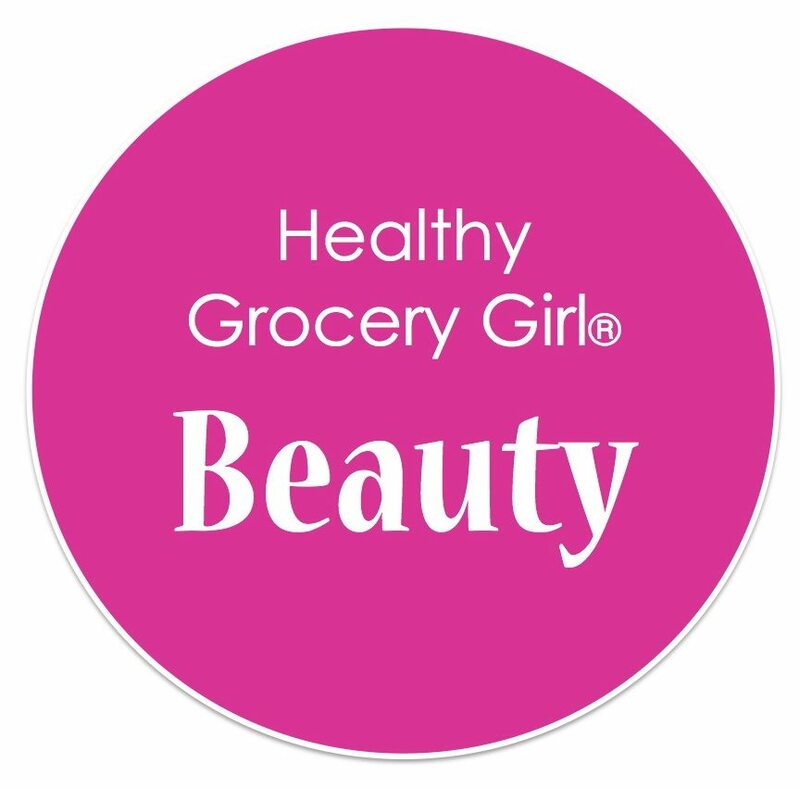 You can look for these new “Healthy Grocery Girl Beauty” “Healthy Grocery Girl Body” and “Healthy Grocery Girl Home” logos apart of my new blog and video series discussing important ingredients to avoid, why and my go-to favorite, all-natural and toxic-free products that I use, have tested, and recommend! Where You Can Find It: Hair Spray, Lotion, Moisturizer, Shampoo, Conditioner, Body Wash, Shaving Cream, Deodorant, Anti-Persperants to name a few! Why Is This Allowed? : Comapanies do not have to list the exact chemicals or ingredients they use under the term “fragrance” because it is considered to be a “trade secret” of the company. So, too bad for us, we’ll never know. At least, for now. Are Fragrance (and Phthalates) Making You Fat? Many chemicals or “ingredients” can be known as “Endocrine Disruptors” which means they affect your hormones. Why does this matter? Your hormones play a massive role in your overall health, metabolism and therefore your ability to lose or maintain a healthy weight. Health is a multi-faceted issue and of course ONE thing in your life alone is not the cause of all-problems, however as we all work to live our healthiest, clean and most natural life, I would rather air on the side of safe than sorry by making the best choices all-around! This means choosing products that contain NO harmful or potentially harmful and toxic ingredients. In 2007, a cross-sectional study of U.S. males concluded that urine concentrations of four phthalate metabolites correlate with waist size and three phthalate metabolites correlate with the cellular resistance to insulin, a precursor for Type 2 Diabetes. The Cancer Prevention Coalition has warned that people must be protected from exposure to fragrance ingredients that may cause cancer or fetal, hormonal or reproductive toxicity (3). The National Institute of Occupational Safety and Health has reported that the fragrance industry uses up to 3000 ingredients, predominantly synthetic, some 900 of which were identified as toxic (4). 1. DBP and DEP: Found commonly in deodorants, nail polish, perfumes, cologne, aftershave lotion, shampoo, hair gels and hand lotion. 3. The word “Fragrance” which can commonly contain hidden compounds including phthalates. 4. Avoid plastics with a code 3 or 7 on the bottom, which commonly contain BPA (bisphenol A) or phthalates. Codes 1,2 or 5 are the safer choice. 5. Choose Fragrance-Free products. Unscented is not the same as fragrance-free. Unscented can simply mean the manufacture has added another chemical to hide the scent of the fragrance, yet it may still be there. 6. As a reminder, we can be exposed to fragrance and phthalates from absorption through the skin as well as from inhaling, for example using hair-spray that contains fragrance. Watch this Healthy Grocery Girl Show episode where I share my favorite fragrance-free body wash!